As a Blogger, everyone would like to promote his/her posts and largely shared the idea on Facebook. Ever if you have tried sometime you might have observed that there is wrong thumbnail or no thumbnail shown by facebook of our blog post . This is among the most popular issue through Facebook from a few years back nonetheless it will not be resolved till yet. However Facebook isn't much clever to pickup the correct image from your post. You should make the post easy to understand by adding a little piece of chunk code within your blogger template to express to the Facebook robot which usually show image in the Round thumbnail at your wall or groups. So here we are discussing about such a popular topic to fix this error to get proper image of our blog post on facebook. Now click on save button: You are almost Done! I recommended you to use the PNG format for main image. Use JPG image format for the rest of all ordinary image inside the post except the main picture. Always try to add intro image inside the post. 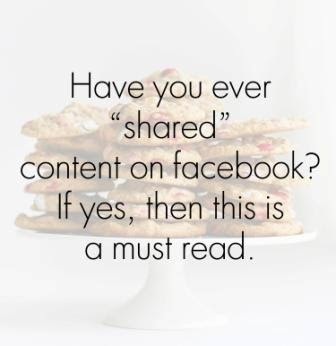 Share your Post on facebook immediately after publishing. If you change your blogger template make sure to add the above coding again. So this is an easy way to fix this popular facebook issue. Now It's your turn to share this post with your friends so they also can enjoy this post. Make sure to write your views in comments till then Peace, Blessings and Happy Sharing.